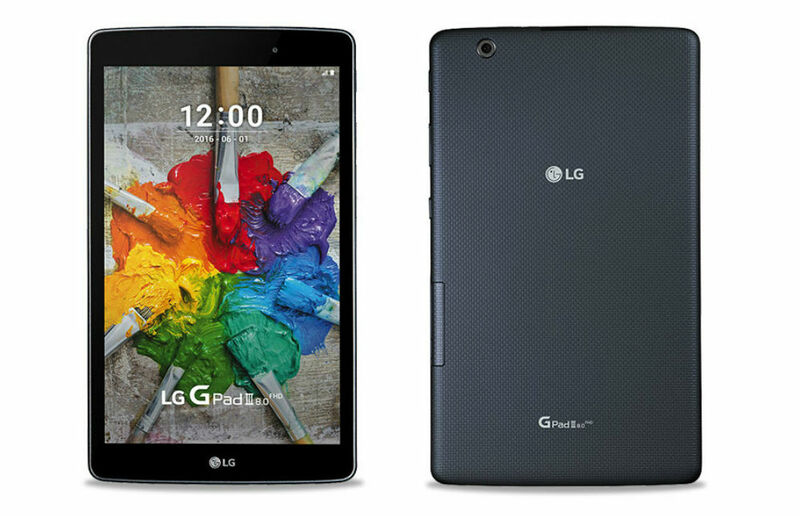 LG unveiled a new Android tablet this week, the G Pad III 8.0. Overlooking the usage of Roman numerals as well as Arabic numerals in the same name, the G Pad III 8.0 features an 8.0″ Full HD IPS display, 1.5GHz octa-core processor, 2GB of RAM, 8MP rear-facing camera, as well as many software tweaks to add value to the somewhat mid-level device. Detailed by LG, this tablet comes with a package of MS Office tools (Word, Excel, PowerPoint), a coupon for free books to read on the device, plus an enhanced reader mode to take advantage of the aforementioned coupon. To add to the productivity potential, LG also equipped the tablet with a USB Type-A port, which will allow users to hook-up a wired mouse or keyboard for more efficient work experience. As for availability and pricing, no details have yet been given by LG, but will likely come soon. Check out the full list of specs for the G Pad III 8.0 below.